Many years ago, I was told that the test of a good cook was their ability to make a good pie crust. It had to be flaky, tender and complement the filling inside. To say I was intimidated was an understatement. The key was cold lard, cold water and cold hands. My first attempt was anything but successful. When I finally did it correctly, I was thrilled. Fast forward to today; much has changed in my pie crust recipe method. The biggest of those changes is the food processor. It made the cold hands part a non-issue. Without further ado, let’s get to making a few pie crusts my way with my pie crust recipe. Measure and cut the lard and butter into pieces. Place in the freezer until thoroughly chilled. Place ⅓ cup of water and a large mixing bowl in the fridge to maintain a good chill. Using a food processor, add flour, salt and sugar in the processor bowl and pulse a few times to combine. Add the chilled butter and lard, pulsing for a only a few seconds until the mixture achieves a course crumbly consistency. You should also see pea size bits of butter and lard. Pour the mixture into your large chilled bowl. Using a stiff rubber spatula, sprinkle the cold water a little at a time working it into the mixture just until the flour is moistened. Note: To make sure your dough has the right amount of liquid, squeeze a small amount of gently of dough between your fingers. If the dough just sticks together with small dry cracks, your dough is good to go. Using your hands quickly shape the mixture into a ball. Turn the dough out onto a sheet of plastic wrap. Divide the dough ball in half. Shape each half into an 8-inch disk and wrap tightly in the plastic. Place the wrapped pie dough in the fridge until firm or up to 3 days until ready to use. If you’re not going to use the dough right away, it can be frozen up to 6 months. Make sure to thaw the dough before shaping and baking. Notes: If you don’t have a food processor, then I would recommend a good pastry cutter. If you do use a food processor, don’t be tempted to over pulse the mixture; less is always better. Always use a non porous spatula not a wood utensil. Wood is porous and will absorb water not alowing the water to be adsorbed by the flour. To cool your hands, run them through ice cold water and dry throughly before shaping the dough ball. The fat you use in this pie crust recipe is up to you. You can use all butter, lard, or as I did, a combination of the two. Whatever you chose, it will affect the pie crust taste a bit. One final note; many people including myself will over process/work the fat into the flour. That results in a tough unflakey end product. Remember, less is truly more when making pie dough. Because it freezes so well, while you are at it, make a few batches for the future. One Crust Pie: On a lightly floured surface, roll out the disk ball of dough into approximately a 12-inch circle. Carefully fold the circle into quarters. Place dough into a 9-inch pie pan; unfold dough, pressing carefully but firmly against bottom and sides of the pie dish. Trim the overlapping crust to 1/2 inch from the edge of the tart. Crimp, flute or style the edges as you like. Fill with the desired filling mixture and bake as directed. 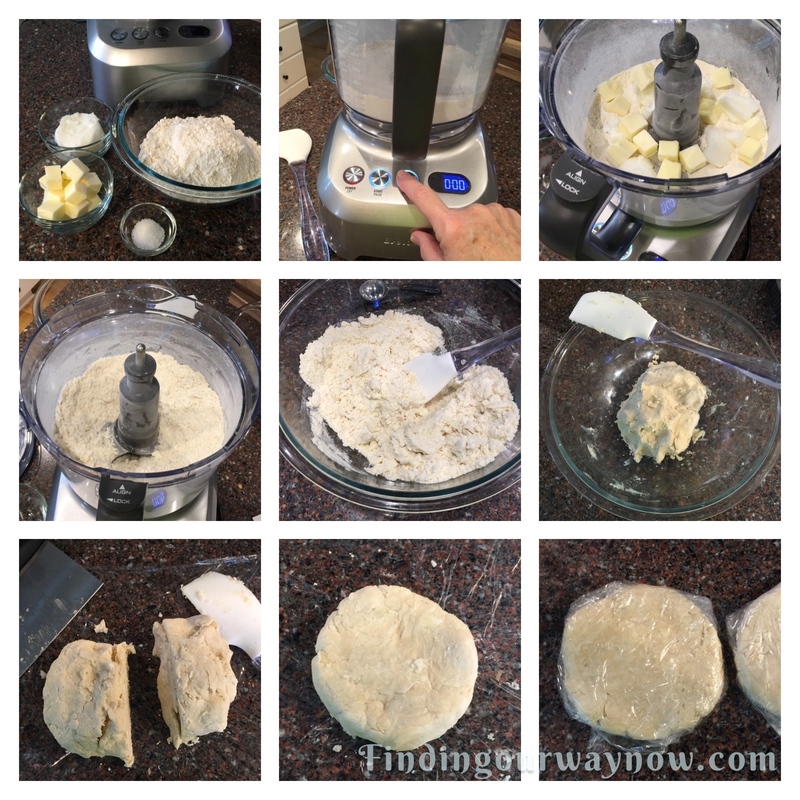 Two-Crust Pie: Roll out the remaining disk of dough on a lightly floured surface into 12-inch circle. Fold dough into quarters. Carefully place dough over filling; unfold. Trim, seal, and crimp, flute or style the edges as desired. Cut six large slits in top crust. Bake as directed. Blind Baking A Pie Shell: Prepare the dough as directed above for a one-crust pie. Using a fork, prick crust all over. Line the pie with crumpled parchment and fill with pie weights or dried beans. Bake at 475°F for 8-10 minutes or until lightly browned. Fill with desired prepared filling. Rustic Tart: On a lightly floured surface, roll out one disk of dough to approximately a 12-inch circle. Carefully fold the circle into quarters. Place dough on a parchment lined baking sheet. Put the filling of choice in the center of the dough, leaving a two inch border around the edges. Fold 2-inch dough border in a pleated pattern. Bake as directed. Another Way To Roll Out Your Homemade Pie Dough: Grease two sheets of parchment. 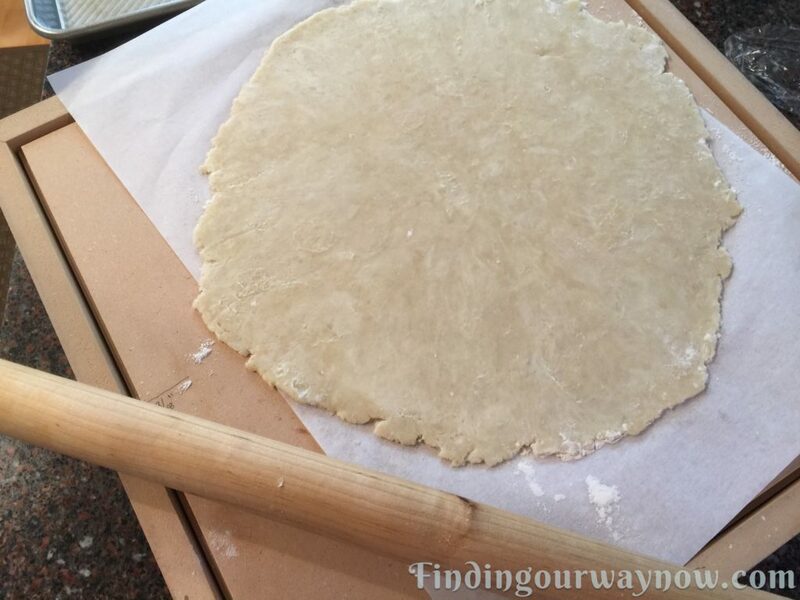 Roll the disk of pie dough into a 12-inch circle between the two sheets of parchment. Remove the top sheet of parchment. For a rustic tart, move the bottom parchment with rolled crust onto a baking sheet and place it in the fridge to keep chilled until you’re ready to add your filling. For a pie, carefully fold the circle into quarters. Place dough into a 9-inch pie pan; unfold dough, pressing carefully but firmly against bottom and sides of the pie dish and refrigerate to keep chilled until you’re ready for the filling. Making pie dough is pretty easy, and it takes no time at all. It’s fun to have some on hand in the freezer on that occasion when you would like to impress someone special. 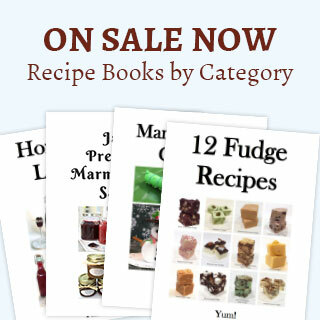 Now, how about giving my pie dough recipe a try? I know you’d have fun doing it. If you enjoyed my very doable “Pie Crust Recipe,” check out my Rustic Apple Pear Tart, Homemade Baking Mix, or my Homemade Vanilla Extract. Enjoy.